Ha Long Bay in the northern province of Quang Ninh was recognized as a World Heritage site in 1994. Recently, it has been cited as one of top eight most beautiful landscapes in the world by mymodernmet.com. Geographic location: Located in the north-east of Vietnam, Ha Long Bay belongs to Ha Long city, Cam Pha town and a part of Van Don District. The total are of this bay is 1,553 quare kilometers, consisting of 1969 islands with various sizes and shapes. 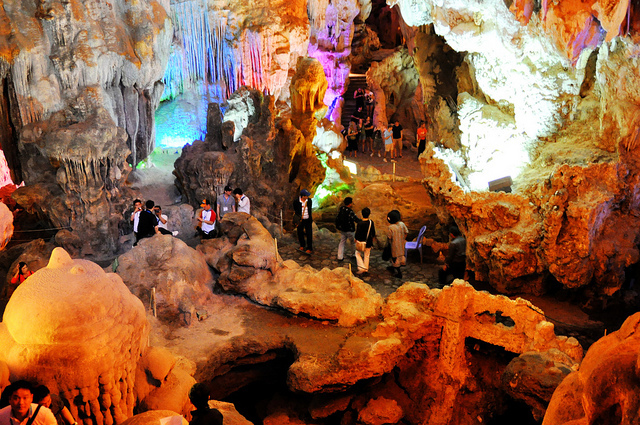 Among the islands, you can also find hidden lagoons, beautiful beaches, countless caves and unique grottoes. 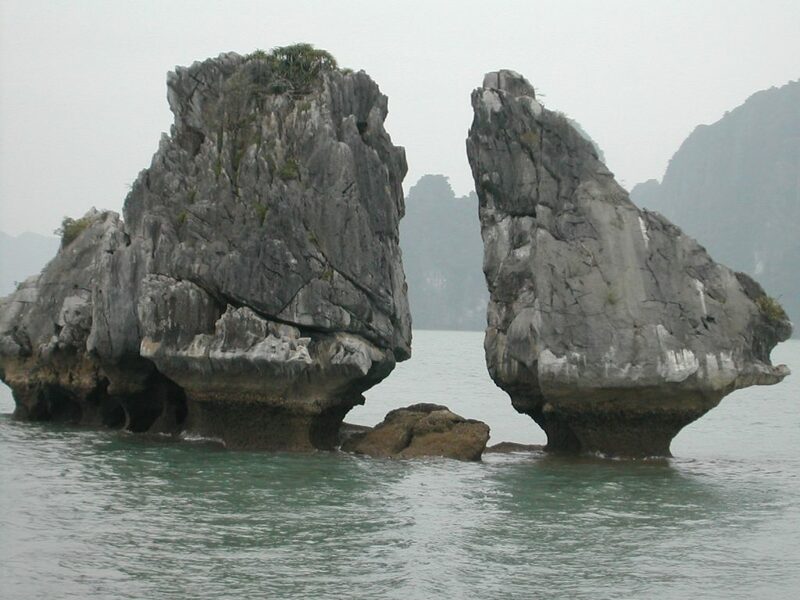 Climate: Ha Long Bay has four seasons like most localities in Vietnam: spring, summer, autumn and winter. The average temperature is 15-25°C and annual rainfall is between 2 and 2.2 meters. Visiors can travel to the bay any time of the year, especially from April to October when the weather will be cool and pleasant while it can be cold, rainy and foggy during the rest of the year. Natural beauty: Ha Long is special partly due to the important vestiges in the formation and development of the earth’s history. It also connets closely with the development of history. There are many place-names, such as Van Don where the well-known trading post was built in, Bai Tho Mountain where the autographs of celebrities were recorded and Bach Dang River where two naval battles of the army and the people who fought against Nguyen-Mong happened. 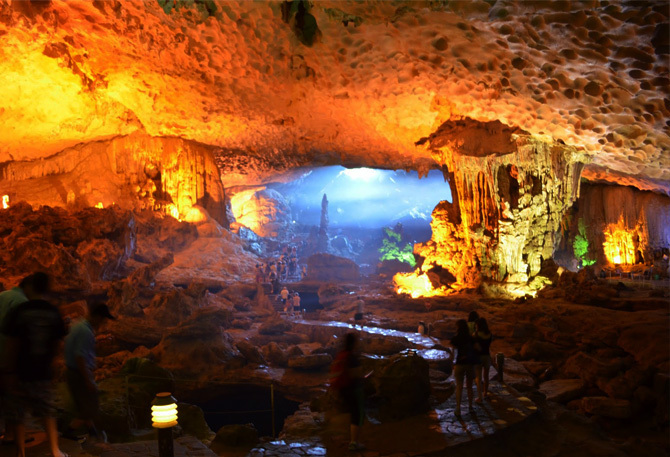 We would have a feeling of being lost in a fairy land when visiting hundreds of islands such as La Vong Island, Dau Nguoi Islet, Thien Cung Cave, Dau Go Cave and so on. 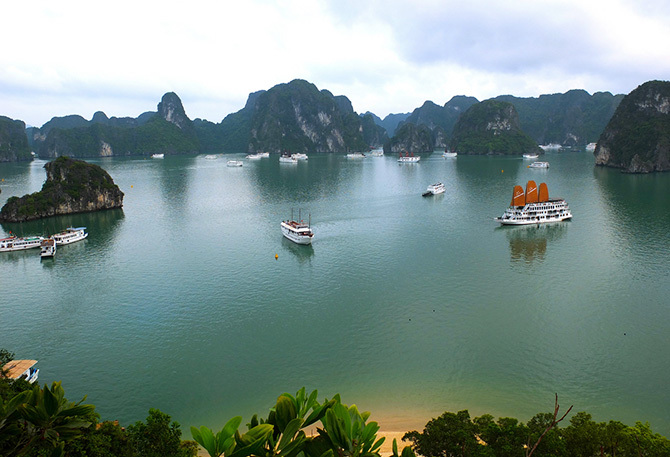 Earlier, a US magazine listed Ha Long Bay as one of 100 destinations you must visit in your lifetime. The bay has also been voted to be a vision of breathtaking view and one of the world’s top ten Valentine’s getaways by US based National Geographic magazine.